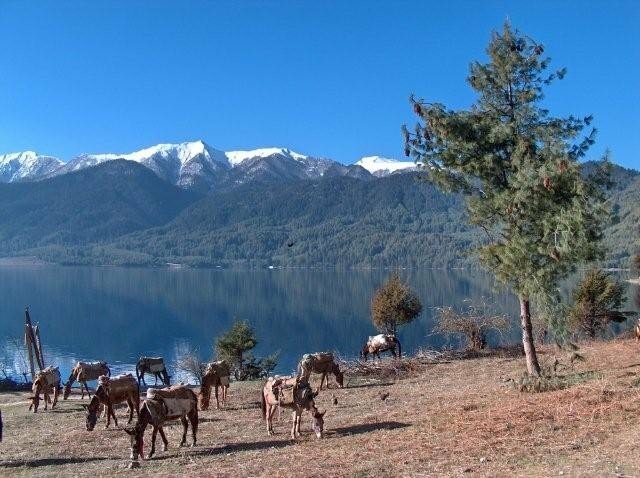 Rara Lake Trek is an off the beaten track trek that takes you to the beautiful and tranquil Rara Lake which lies within Rara National Park in the remote mid-western region of Nepal. 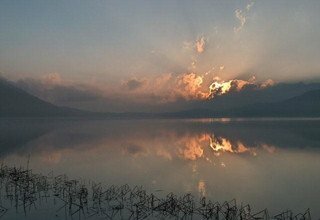 This trek has recently gained a lot of popularity among the domestic as well as foreign travelers for the sheer beauty and tranquility hosted by the lake itself. Traveling through the remote trails of western mid-hills, you get to explore the rural culture, traditional lifestyle, and the incredible biodiversity of the region. 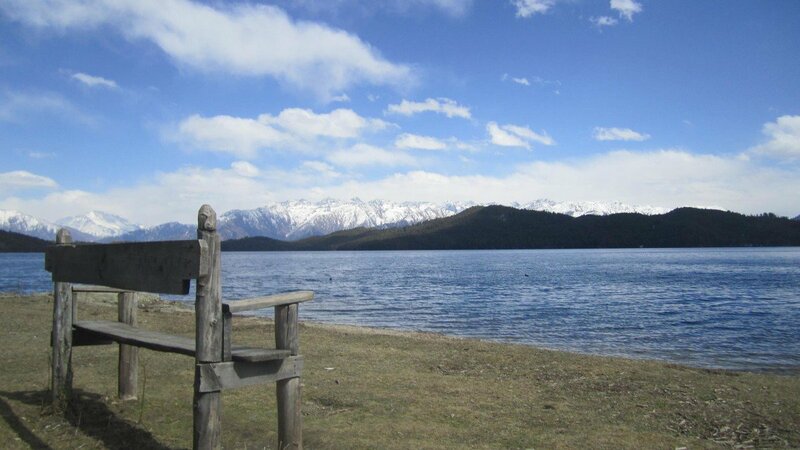 Rara Lake Trek starts with your arrival in Tribhuvan International Airport, Kathmandu. After a brief stay in the Kathmandu Valley, the trip begins as you fly to Nepalgunj and then to Jumla. The flight to Jumla provides scenic views of the varying topography of mid-western Nepal, from the flatlands to the high hills. 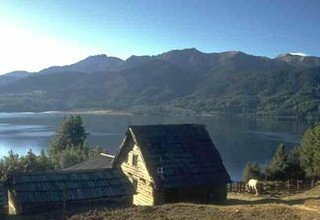 The trail comprises of many ascends and descends through the low lands, alpine forests, and ethnic villages. The highest you will reach during the trek is at Ghurchi Langa Pass (3450m), which is surrounded by fir and pine trees. 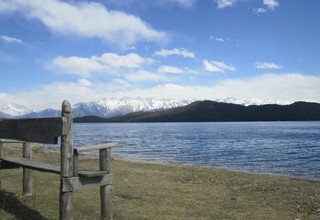 The Rara Lake sits quietly inside the Rara National Park, surrounded by lush hills and snow-covered mountain peaks. The enchanting lake emits peaceful vibes and makes every sweat dropped during the trek worth it. 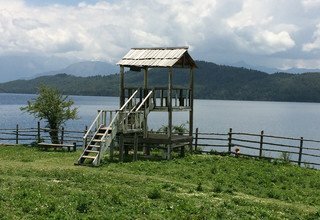 The home of Rara Lake, Rara National Park, is a sanctuary to many rare species of wild birds and animals. You can see wildlife such as musk deer, Ghoral, leopard, Himalayan black bear, wild boars, and waterfowl. Along with the fascinating biodiversity and magnificent mountain views, you also get to look into the traditional culture of the "Khas" tribe. 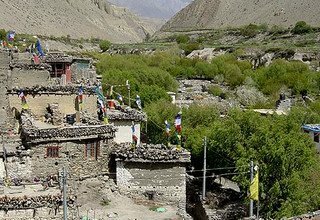 Sinja village, the home of the "Khas" tribe, used to be the capital of the Malla dynasty. 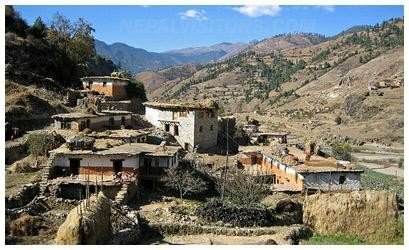 The trek ends with a pleasant walk to Jumla, from where you take the mountain flight back to Nepalgunj and then head to Kathmandu. Swiss Family Treks and Expedition is a reputed company in the travel and tourism sector in Nepal. We take care of your transportation, permits, accommodation, and every other valid travel needs. With our highly experienced local guide, you will get an opportunity to connect with the locals and to fully immerse in your trip. Kindly note that all domestic flights are subject to delay due to bad weather. The trek begins with your arrival in Kathmandu. Our company representative will welcome you at the airport. Then you will be transferred to a 3-star hotel for your overnight stay. After a fulfilling breakfast at the hotel, our tour expert will meet you in the hotel premises. Then you will go on the tour to visit the UNESCO world heritage sites in Kathmandu. You start by visiting Swayambhunath followed by Boudhanath. You will later observe the evening Aarati in Pashupatinath before heading back to the hotel for the overnight stay. You take a scenic flight over the varying topography of central and western Nepal to reach Nepalgunj. The city of Nepalgunj lies next to the Indian border and is the hottest city of Nepal. A private vehicle will pick you up at the airport and take you to the hotel. Later in the evening, you can visit the nearby market of Nepalgunj. Overnight at the hotel in Nepalgunj. Day 4; Fly from Nepalgunj to Jumla 2370m. In the morning, you take a 45-minute flight to Jumla airstrip from Nepalgunj Airport. You fly over the Himalayan foothills with the views of the towering hills and vast river networks. 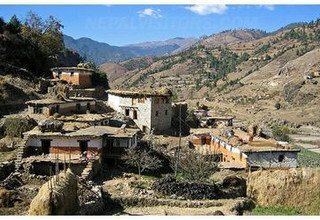 In the afternoon, you can explore the market of Jumla, the capital of Jumla District. Overnight at tented camp. Day 5; Trek from Jumla to Danphe Langa 3130m/5-6 hours. The trail follows the north bank of Tika Khola and then turns up to another stream. Make your way through the narrow canyon to Padmara village. 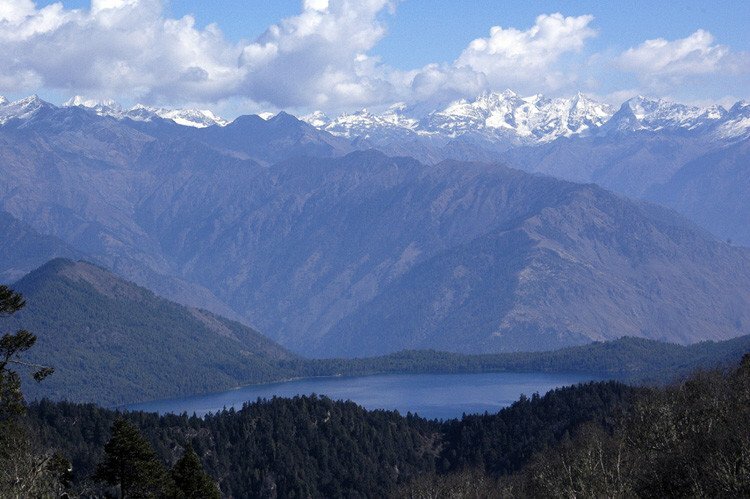 Climb the Khali Lagna Pass (3550m) through deep pine and fir forests and then descend to reach Danphe Langa. Overnight at tented camp. Day 6; Trek from Danphe Langa to Chautha 2770m/5-6 hours. Descend through the thick forests walnut and birch to reach Lete Gad Bridge. After crossing the bridge, you follow the river downstream and make a serious ascend to Kabra. A short hike from here will take you to Chautha. Overnight at tented camp. Day 7; Trek from Chautha to Dhotu 2380m/4-5 hours. 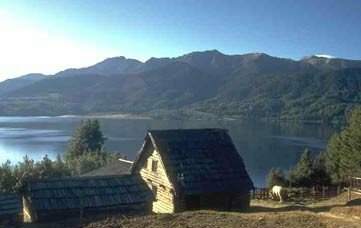 You begin the trek by following the stream uphill to Bhulbule and enter Rara National Park. During this journey, you can observe the fascinating flora and fauna of the region. 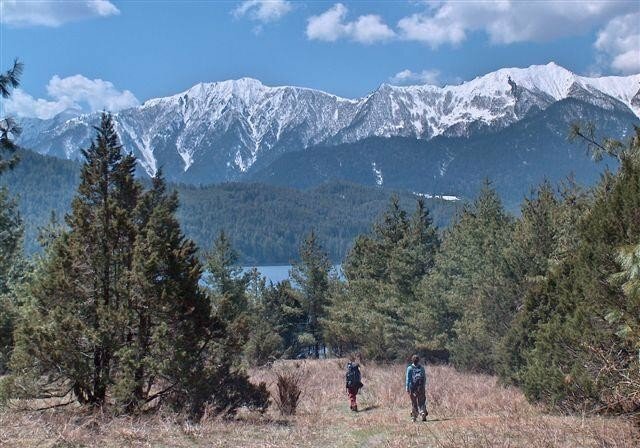 From Rara National Park, you climb up to Ghurchi Langa Pass (3450m) and then descend through the forest to reach Dhotu. Overnight at tented camp. 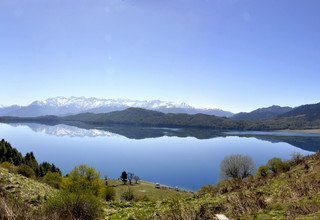 Day 8; Trek from Dhotu to Rara Lake 3040m/3-4 hours. It will be a short trek today. Hike through a steep north facing slope from Dhotu and cross a series of fields to reach a stream. Then you ascend to Jhyari village and climb through the cedar forest. Descend from the forest to reach the tranquil Rara Lake, one of the biggest freshwater lakes in Nepal. Overnight at tented camp. 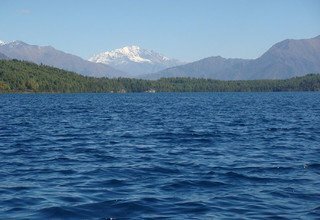 Day 9; Exploring Rara Lake 3040m. 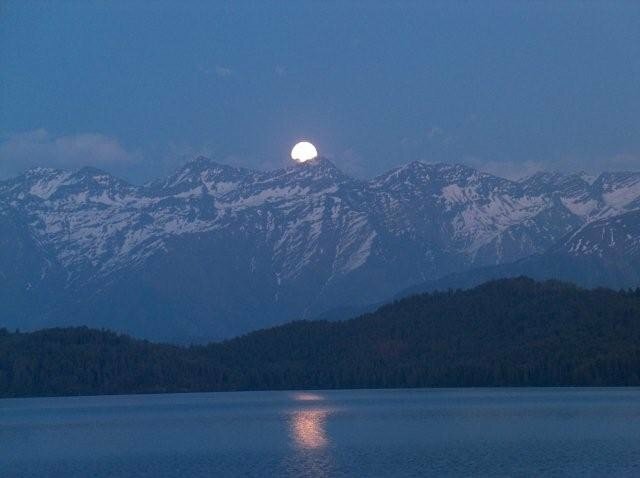 Today you explore the enchanting Rara Lake and its surroundings. The beauty of the lake is surreal as it reflects the surrounding lush hills and snowy mountains on its surface. 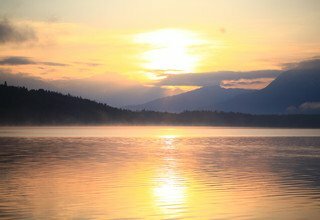 You can just relax on the ground by the lake, reading a book or meditating or simply relishing the tranquil vibes. Overnight at tented camp. 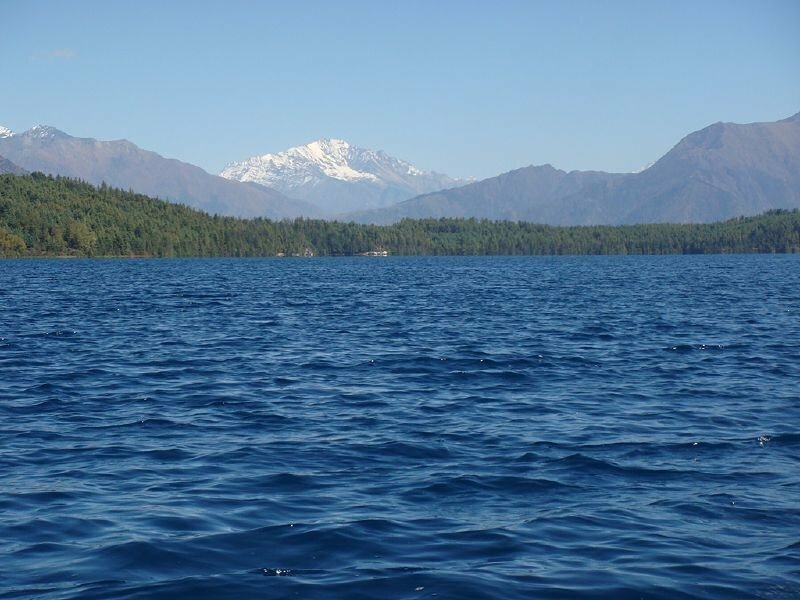 Day 10; Rest and explore Rara Lake as well as surrounding hills. 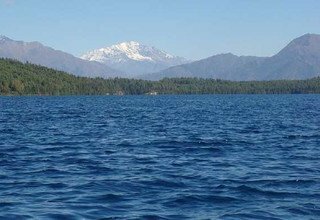 You take another day off trekking to immerse in the beauty of the true blue colored lake. You can explore the nearby areas and hike up the small hills surrounding the lake for a full view of the pristine beauty. 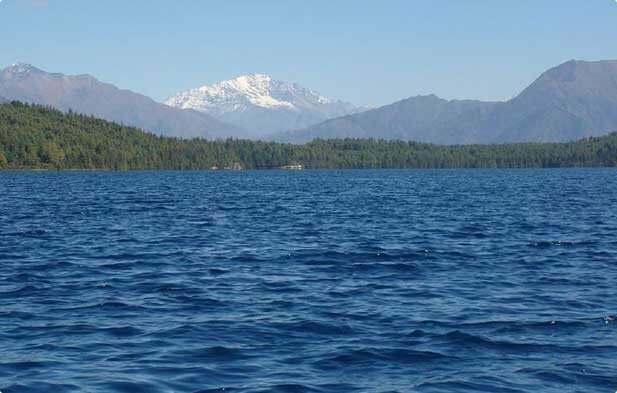 The wildlife around the lake includes leopard, Ghoral, musk deer, Himalayan black bear, and red panda, which you may spot as you explore the premises of Rara National Park. Overnight at tented camp. Day 11; Trek from Rara Lake to Ghorasingha 3190m/4-5 hours. 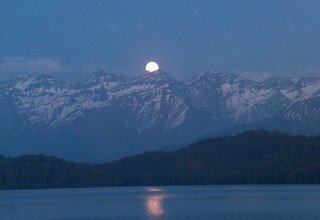 Bidding goodbye to the beautiful Rara Lake, you start your return trek towards Ghorasingha. Walk past Khatyar River and cross a bridge to head towards the southern side. You pass through a dense forest and continue the trek to the southern ridge. Then follow the descending path to Ghatta valley and make your way into Ghorasingha. Overnight at tented camp. Day 12; Trek from Ghorasingha to Sinja 2440m/4-5 hours. Head down from Ghorasingha and follow Sinja River downstream to reach Sinja. This village was the capital of the Malla dynasty from 12th to 14th century hence houses the ruins of the ancient kingdom. In Sinja, there is a large temple dedicated to Bhagwati, the goddess of justice who rides on a tiger. Overnight at tented camp. Day 13; Trek from Sinja to Jaljala 3270m/5-6 hours. The trail crosses Sinja Khola on a wooden bridge and takes you to Dhobi Khola. Pass through a series of log bridges and small villages before heading into the forest. Afterward, you make a steep ascend to Jaljala, a gigantic meadow full of grazing horses. Overnight at tented camp. Day 14; Trek from Jaljala to Jumla 2370m/3-4 hours. You keep climbing through the forest to reach a meadow and then descend towards the few houses in Chauri Khola. Cross a stream, and then walking on a ridge, make a steep descend to reach Jumla. 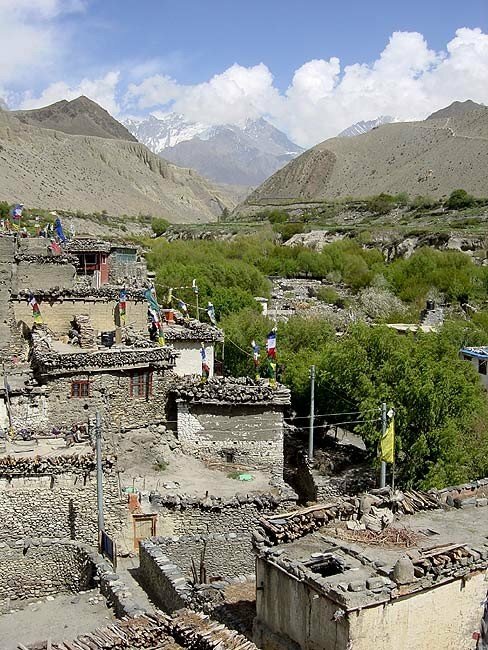 You will have plenty of time to explore the town of Jumla and interact with the locals. Overnight at tented camp. Day 15; Fly from Jumla to Nepalgunj and afternoon fly back to Kathmandu. There are no flights directly from Jumla to Kathmandu so you have to fly twice today. An early morning flight will take you to Nepalgunj, and from there, you take another flight back to Kathmandu. In the evening, you can either relax in your room or enjoy the pubs and bars in Thamel. Overnight at a 3-star hotel in Kathmandu. Day 16; Take leisure day in Kathmandu with a guided half day city tour around the valley. Today is a free day. Our tour guide will provide you a half day tour of the Kathmandu valley. You can visit places like Bhaktapur Durbar Square and Patan Durbar Square, both of which are listed under UNESCO as world heritage sites for their historical and architectural richness. Later, you can go for souvenir shopping in Basantapur or Thamel. Overnight at the hotel. The 17-day trip comes to an end. Our company representative will drive you to the airport to connect you to your flight back home. - Airport / Hotel / Airport pick up & transfer by car / Van. - All domestic flights and domestic airport taxes. - Kathmandu city tour and all entry fees as per the above itinerary. - 12 nights tented camp and hotel accommodation during the trek. - 1 experienced helpful and friendly guide, 1 cook and 1 helper, porters (1 porter for 2 peoples), their food & accommodation, salary, equipments and insurance. - All ground transportation by private car. 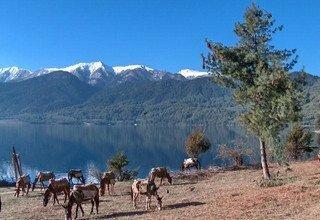 - Rara National Park Permit. - Your private Travel insurance. - Personal Trekking Equipments like sleeping bags, jackets (can be hired in KTM) etc. - Horse renting and additional porters during the trek due to natural calamities.